This was a perfect summer recipe! 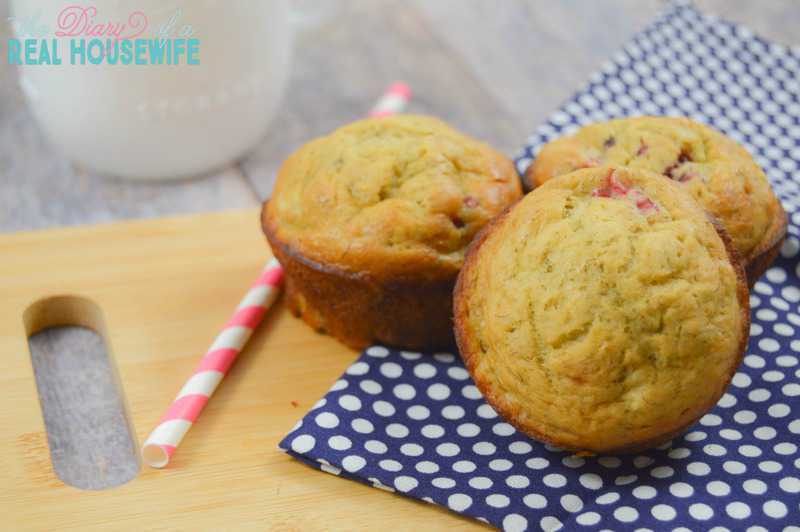 I love fresh strawberries and we all loved this Strawberry Banana Muffin Recipe! 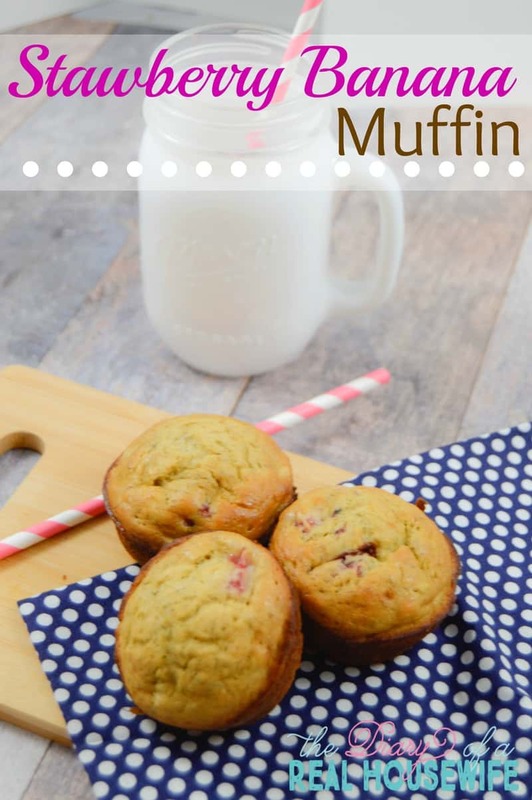 I love making muffins in large batches and freezing them for easy breakfast every morning. If you want even more great muffin recipes make sure to check out my recipe for mini chocolate chip banana muffins! Strawberry banana has always been a favorite of mine! Last week I made these strawberry banana muffins and my boys loved them. We had them for breakfast for several days and they froze great! 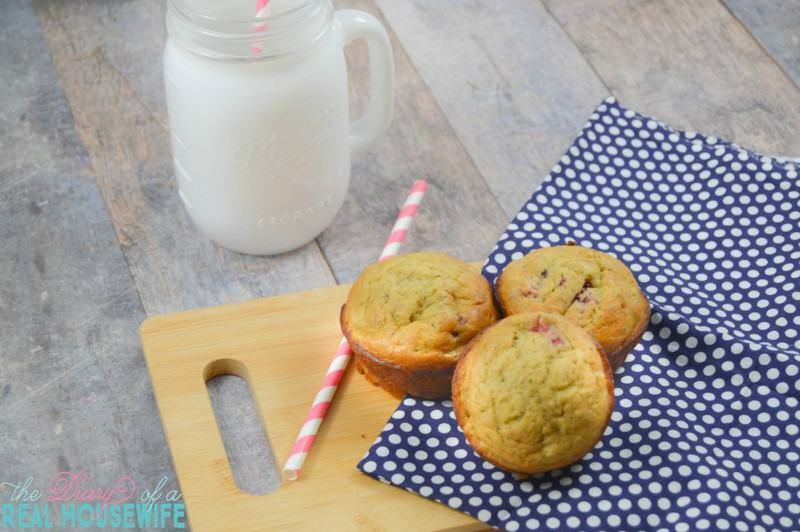 My boys love muffins and they are such an easy quick breakfast! When I make them I usually try and make a few dozen and freeze them. Place your cooled muffins on a baking sheet and place in the freezer to allow to freeze separately. Toss them into a large freezer bag and you have a easy homemade breakfast for mornings to come with out the work! The muffins should be good up to 3 month. You can pop them in the microwave for about 15 seconds or just lay the bag out on the counter for a few hours. Start by preheating your oven to 350 degrees F and spray your muffin tin with non-stick cooking spray. Sift together your flour, salt, and baking powder together and set aside. Beat butter in a stand mixer (or hand mixer) until nice and creamy. Slowly add sugar unto butter and beat until well mixed and fluffy. Next add your eggs and vanilla extract and continue to beat. Squeeze any excess water from strawberries and place in a small bowl with banana. Mash with a fork and set aside. Slowly add your dry ingridents (flour, baking pander, salt) into the wet (butter, sugar, eggs). Then add banana and strawberries. Fill your muffin tin with mixture and bake for 15-20 minutes or until a toothpick or knife comes out clean.